, which was established in 2003 and was later acquired by Publicis in 2015. In the new role, Preston will report to Publicis Media CEO Matt James and will support him and the Publicis Media board at a strategic business level both for the group and its clients. Duncan Parfitt, who was promoted to managing director of Blue 449 last year, will lead the agency once Preston finishes up as CEO at the end of the year. Parfitt's appointed coincided with the departure of Blue 449 co-founder James Simmons. 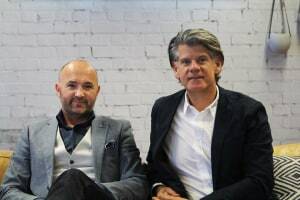 "John has been a critical part of the Publicis Media team since the acquisition of Match Media, and with Duncan Parfitt promoted to managing director of Blue 449 last year, this gives us the opportunity to not only evolve John's role but to harness his 30-year experience and success in supporting the ongoing development of Publicis Media," James says. "John is one of Australia's most respected media professionals, with a wealth of knowledge, an entrepreneurial spirit and proven leadership skills. 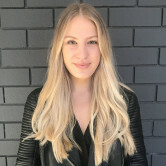 I have no doubt he will bring a valuable and positive perspective to our strategic direction and I look forward to working with him to further develop Publicis Media Australia's success." "I am delighted to be offered the opportunity to contribute in a broader role with Publicis Media. My role will be to bring an independent and fresh perspective to decision-making, working with Matt James to develop strategies to drive Publicis Media forward," Preston says. Preston told AdNews in April his journey in adland was nowhere near done yet. Read the full feature here. Publicis Media has appointed Blue 449 CEO John Preston to the newly created role of Publicis Media Australia chairman. Preston is the founder of Blue 449, formerly Match Media, which was established in 2003 and was later acquired by Publicis in 2015.